One of the reasons that SEO is getting a bad reputation in some circles is that the terminology so casually used by providers of search engine optimization services is sometimes so obtuse and inscrutable that it might seem as an attempt to throw dust in the client’s eyes. If you’ve hired an SEO agency and aren’t quite sure of what exactly is it that you’ve been promised, or if you are an SEO agency looking for a third-party provided elaboration of your offer, this glossary might be able to help you out. 301 (redirect) – 301 is the HTTP status code describing a permanent redirection of traffic from one URL to a new one, with negligible losses in link juice. 404 – HTTP status code notifying that the requested resource (usually a web page) could not be found on the provided URL. Above the Fold – The topmost part of a webpage, the one that is visible as soon as the page loads. Affiliate link – Links leading to external webstores, and earning commission for each sale that they contribute to. For instance, link from a photography blog leading to a camera product page on Amazon, containing the ID which allows Amazon to easily track where the traffic that link is bringing is coming from, and to pay the commission. Algorithm – Generally in computer sciences, a set of steps or rules involved in solving a problem. When mentioned in relation to SEO, usually refers to Google’s algorithm (more accurately set of algorithms) used to evaluate and rank web pages. Alt text / Alt Tag / Text Attribute / Alternate Text – Text describing what the images on your web page contain. The text can be seen on image hover, and is used to explain the content of the image to search engine crawlers and to site visitors with impaired eyesight. Anchor text – The visible, clickable text of a hyperlink, describing its purpose or destination. Authority / Trust – Perceived value of a website in terms of the number and source of relevant links it is getting. Average time on site – A Google Analytics metric describing the amount of time users average on your site once they’ve reached it. B2B – Business to Business, describing a business which is primarily offering its products or services to other businesses, institutions or organizations. B2C – Business to Consumer, describing a business which is primarily offering its products or services directly to consumers, i.e. general public. Backlink / back link / inlink / incoming link – A link to one of your pages coming from a different domain. Black hat / Black-hat SEO – A set of, mostly outdated, SEO techniques aimed at manipulating and deceiving search engines instead of working with them and following Google Webmaster Guidelines. Much more likely to get you into trouble with Google than to help, even in the short-term. Boolean search – Type of search that allows you to modify your query by adding operators like OR, AND, NOT and others. Typical Google search is a good example, except AND is implied, and therefore redundant, and NOT is replaced with a minus sign. Bot / Googlebot / robot / spider / crawler – When used in this context, it describes a script or a program which indexes the known web by following the links it comes across, and sends the information back to Google. Bounce rate – The percentage of visitors who’ve reached one of your site’s pages and left it without interacting with it further or visiting any of your other pages. Branded keywords – Keywords containing your brand name. Broken link – Any kind of a dysfunctional link, like the ones leading to pages that no longer exist, or the ones with typos in the destination URL. Browser – Software you use to access the Internet – Google Chrome, Mozilla’s Firefox and Microsoft’s Internet Explorer are some of the most popular web browsers. Canonical URL – Page duplication, a frequent consequence of allowing for creation of dynamic pages, can lead to issues with duplicate content. Designating one URL as the canonical version of a page ensures that search engine crawlers know they need to treat that page as the ‘original’ and that they understand its relationship with the ones derived from it. Cloaking – Deceiving both users and search engine bots by serving different content to each. There are a number of ways to do this, from making the text you want registered by crawlers and ignored by users (usually exact match keywords) the same color as the background it is displayed on, to hiding it behind images. Regardless of the chosen method, this black-hat technique is only attempted by those who don’t know anything about SEO, or don’t care about their clients in the slightest. CMS Content Management System – Platforms and frameworks allowing webmasters to focus on the less technical aspects of building and running a website. WordPress, Drupal, Joomla and Magento are just some of the examples of popular Content Management Systems. Content – Informative or entertaining materials that site visitors could benefit from. Videos of cute cats or detailed whitepapers, it’s all content, as long as it serves a purpose and answers a user’s query. Content marketing – Marketing approach relying on creation and distribution of valuable, engaging content meant to build brand awareness and authority, convert leads into customers, and improve the loyalty and retention rates of those already converted. Conversion (goal) – Visitor action that benefits you and that can be tracked. From making a purchase, to simply signing up for your newsletter, there are a number of steps in the buyer journey that bring leads closer to the end of the funnel, and each of them could be treated as a conversion. CPC Cost Per Click – The amount that the Pay Per Click Advertiser has to pay for each click that their ad receives. Crawl Frequency – How often your site is crawled by Google’s spiders. Depends on its authority, update frequency, number and velocity of incoming links, etc. Crawling – The process of discovering, indexing and (up to a point) classifying new web pages, or revisiting old ones. Carried out by bots, crawlers, spiders, or whatever you want to call them, it is constantly performed by Google and other search engines, but private crawls with custom bots are perfectly commonplace. CTR – Click Through Rate, most commonly used to track the effectiveness of PPC campaigns, this metric shows the ratio of people who have clicked on your link to those who have just seen and disregarded it. Dead link – A link that is no longer working, usually because the domain or the exact page it is leading to is no longer functional or online. Deep link – Any link leading to a page that is lower in your site’s hierarchy than the home page. Deep link ratio – The ratio of the number of deep links to your site compared to number of those leading to your home page. Directory – When mentioned in relation to SEO or digital marketing, referring to online, usually publicly available lists of websites, businesses, organizations, etc. submitted for inclusion by the owners of the property, the general public, or discovered through manual or automated research and vetting by the owner of the directory. The ones most commonly discussed and sought after are directories of businesses servicing a particular area, providing a particular type or service, or those doing both and specializing in, for instance, IT services in New York. Vendors usually submit the business details themselves, for free or not, depending on the directory; and aside from getting their essential pitch and information in front of the customers who are likely to be looking exactly for what they are offering; they are getting their Name, Address and Phone information cited on a number of easily verifiable sources, helping their local SEO, and making it easier for Google’s algorithm to recognize them as an entity. Disavow – A way to distance your website from links you don’t want to be associated with, at least when it comes to Google. It consists, ideally, of a detailed backlink portfolio analysis of your website; taking note of the links that you think might be harming your website; and trying to remove them on your own. The ones you cannot remove even after several attempts should be listed in a disavow file, that you should submit to Google, along with your reasons for wanting to disassociate your site from them. Domain – Usually used when referring to the URL or the root domain of a website, including the Top Level Domain (TLD). Duplicate content – One of the main reasons that Google started paying special attention to duplicated content were websites which were doing nothing else than copying others’ content, publishing it without permission or attribution, but still managing to rank. 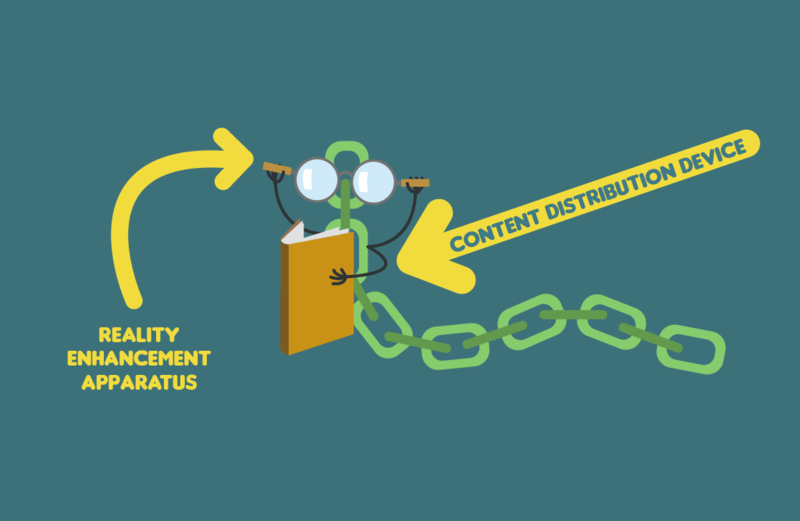 Even the most stubborn of black-hat SEOs have largely abandoned the ‘content farm’ approach, as these sites were known, so these days, more often than not, content duplication is accidental. Either caused by laziness or lack of precaution when allowing for creation of dynamic pages, while having content that can be found elsewhere on your site or anywhere online will make you less interesting to Google, you’d really have to overdo it to get your pages removed from the results. Dynamic content – Showing different versions of certain pages to different users, based on their preferences, past actions or personalization data. That means that dynamic pages don’t have one basic form, but are created on the go when a user requests them. Ethical SEO – Search engine optimization practices which don’t go against Google Webmaster Guidelines, and are not meant to deceive the search engine and get a site ranking undeservedly, but instead aim to actually improve the site’s visibility through meaningful improvements of its technical aspects, its crawlability, UX and content. Everflux – The perpetually changing nature of Google, its algorithm, rules regarding individual ranking factors, result pages layout and content, etc. Also sometimes used in a broader sense to refer to the same mercurial character of the Internet as a whole. External link – Any link leading away from the site it is found on, so any link on your site that is not targeting one of your pages. Fresh content – Refers to the tendency of newer content to rank better for certain keywords until that ‘freshness’ period expires, when it usually drops in rankings. It is mostly reserved for ‘query deserves freshness’ searches which are, at the time, spiking in popularity, making it reasonable to assume that users want current, fresh information. Fuzzy search – A flexible type of search where the returned results don’t have to match the provided query exactly – Google’s SERPs are an example of this kind of search. Google AdWords – Google’s advertising system giving businesses a chance to have their ad displayed in search results, for a price determined by the popularity of the targeted keywords. Google Analytics – Google’s utility allowing webmasters to easily track their site’s performance, visitor behavior, and the efficiency of their marketing efforts. Google dance – Most often describing the fluctuations in rankings of a site, or a number of websites, either caused by an algorithm update, or by the inscrutable micro-forces endemic to the search ecosystem. Google Hummingbird – While often referred to as an algorithm update, just like Penguin or Panda, Hummingbird was actually a major rehaul of the entire algorithm, much closer to Caffeine when it comes to the scope of the changes made and their impact. Google Panda – A string of Google’s search algorithm improvements, aimed mostly at improving the search engine’s understanding of the value of the content a site is publishing. The first version of the algorithm rolled out in February 2011, but it has been modified countless times since. Google Penguin – A set of Google updates focusing on link quality and on the discovery of link schemes. First unrolled in April 2012, Penguin has since gone through a number of iterations and changes at one point becoming a part of the core algorithm and becoming granular. Google Pigeon – Rolled out in July 2014, Google Pigeon update was aimed at improving the accuracy and relevancy of local results, among other things, by paying more attention to search proximity signals. Google Sitelinks – Ever since 2005, Google has been showing additional links with certain suggested results, usually leading to site’s most important pages or categories. Since they vastly improve click-through rates, they are highly valued, and often given special consideration during the development of general site optimization strategies. Google Webmaster Guidelines – A set of best practices recommended by Google, meant to guide webmasters in the creation and optimization of their websites. Adherence to these principles ensures you’ll have a crawlable, functional website, which focuses on users and delivers on is promises. Google Webmaster Tools / Google Search Console – Rebranded into Google Search Console in 2015, Google Webmaster Tools allow webmasters to get data regarding their site’s performance in search, the backlinks it is getting, etc. Growth hacking – A process focused on improving business growth and expansion. While sharing some techniques and goals with marketing, it is broader in scope and demands a wider range of skills. Unlike marketers, growth hackers are not averse to actually modifying the product or service they are promoting, as long as that will serve the overall goal of attaining new customers. Guest posting / Guest blogging – One of the most effective inbound marketing tactics, it involves identifying influential blogs covering subject matter related to what your client is offering and coming up with an idea for an interesting and insightful article that would hold a link to your client, and that you would offer for publishing to the blogs you’ve found. The links to your client’s site should naturally fit in the context of the article, without being promotional – they are not ads, they are there to boost your authority with search engines and to send relevant, qualified traffic your way. HTML – Hypertext Markup Language, markup language predominantly used for the creation of web pages. HTTP – Is short for Hypertext Transfer Protocol, which is a set of rules regulating how data is transferred over the web. HTTP status code – Hypertext Transfer Protocol response codes are sent by the server hosting the requested page and notifying the client from which the request was made of the current state/availability of the page in question. Index – as a noun, a repository of sites and information on them that Google has managed to gather and organize; as a verb – the act of a site being added to that repository by being discovered by crawlers. Influencer – A person with a significant number of highly engaged followers, and the ability to guide their purchasing decisions. From celebrities and industry thought leaders to highly specialized bloggers and other micro influencers, they are not necessarily famous the world over, they simply need to be perceived as trustworthy by their audience. Internal link – Any link leading from one of your site’s pages to another (or, technically, the same) page on your site. IP address – Internet Protocol address is the number associated with a device or a range of devices in a network, used to convey identity and location information. Keyword / Keyphrase – one or more words entered as a query in search. Keyword position / Keyphrase rank – The position in search results that a page occupies for the specified keyword. Keyword cannibalization – A result of suboptimal keyword distribution and mapping, where a number of your strong pages are competing to rank for the same keyword, instead of each of them having their unique focus, i.e. pursuing different keywords. Keyword density – The number of times a keyword is repeated on a page compared to the total word count of the page in question – usually expressed in percentages. Keyword Not Provided – While webmasters were once able to use Google Analytics to check which keywords was their organic search traffic coming from, in 2011, Google stopped providing this info, allegedly in the interest of user privacy and data security. Interestingly enough, the data was only withheld from webmasters without active AdWords campaigns – those paying to advertise through Google’s service continued receiving keyword-related information like nothing ever happened. Keyword research – Naturally, can refer to any kind of research that has to do with keywords, but usually describes identification of the most lucrative keywords for the purposes of organic or paid promotion, i.e. finding the keywords that would bring you relevant traffic and that you have a chance to compete for. Keyword stuffing – Excessive and unnatural repetition of a keyword to get your site or a particular page to rank for that keyword. Disliked and immediately detected by search engines and users alike. KPI – Short for Key Performance Indicator, this term describes values which have been taken to be an adequate interpretation of performance of a particular activity, campaign or company. As the goals of your projects are changing, so will the KPIs you use to describe how close to reaching them you actually are. Landing page – The visitors gateway to your site, and your gateway to conversions. In a broader sense, landing pages are those that visitors are reaching your site through, in a narrower, those that you want the users to be reaching your site through and that you have optimized for that purpose. Link bait – A page created to attract links on its own, passively. Most often, this is done by offering valuable, informative and citable content that people will share and reference on their own initiative. Link building – The practice of improving a site’s visibility in organic search by expanding its link portfolio and exposing it to relevant audiences. Link checker – Most often, tools you can use to check your internal links, but some of them, often appropriately labeled as backlink checkers, also allow you to check the links your site is getting from other domains. Link churn – The rate at which you are losing backlinks to your site. Link equity / Link juice / Google juice – the trust and authority passed on by a dofollow link coming from another website to the one you’re promoting. Link velocity – The speed at which you are acquiring new backlinks. Long tail (keywords) – Specific keywords or queries containing more words than the broader exact match. While having lower volume due to their nature, they are also usually easier to rank for. Manual penalty – Unlike with automated, algorithm-based penalties, receiving a manual penalty means that an actual (Google-employed) person has taken a look at your website and decided it needs to be removed from search results. Meta description – Text describing the page it is associated with, often (but not necessarily) provided along with the URL of the page being recommended in the search results. Meta keywords – While search engines were more trusting of people, webmasters used this tag to inform crawlers of what the page is about. While you can still add meta keywords to your pages, since this has been abused by black-hats in the past, search engines largely stopped paying attention to these tags and people largely stopped providing them. Meta title – The crawler-readable title of your page, and along with meta description, one of the most direct ways to let users and search engines alike know what the page is about. Monetizing – Finding a way to make money off of something, in this context, usually a website. Negative SEO – The practice of trying to get a site removed from the SERPs or to compromise its ranking by intentionally building suspicious and outright harmful links to it. While the ability to disavow links, along with the search engine’s growing competence in detecting foul play have made negative SEO mostly ineffective, some people are still trying to undermine their competitors in this manner. Nofollow – A tag instructing crawlers not to pass on PageRank to the linked pages. It can be used in the link code, for individual links, or in the ‘head’ element of a page to designate all the links that the page contains as nofollow. While often claimed to be useless for SEO purposes, even though they don’t pass any link juice, they are still sending traffic your way, and are a part of every natural backlink portfolio. Noindex – A tag used in the head section of a page to instruct crawlers not to index that page. The same tag could be used to prevent indexing of certain parts of the page, but since crawlers can be set up to ignore this tag, and since Googlebot is only interested in it when it prevents indexing of entire pages, most people don’t bother using it any other way. Off-page SEO / Off-site SEO – Every action meant to improve a site’s position in organic search without making changes to the site itself. Link building, influencer outreach and creation of linkless citations of your business information are all examples of off-page SEO. On-page SEO / On-site SEO – Direct modifications of your website, meant to improve its exposure. Some of the essential on-page techniques include meta elements optimization, page loading speed improvement, inner linking structure modifications, etc. Organic link – If a tree falls down in the woods and there’s a happy lumberjack at its base, did the tree fall or was it cut down? This dilemma is at the core of organic links discussion. At its basest, this definition refers to links that were created solely for the purposes of identification, attribution, elaboration etc. in other words, links that the webmaster giving them felt an actual need to provide. By that definition, ‘pursuing organic links’ is an oxymoron, as solicited links are not completely voluntarily given, but they can still make more sense in certain contexts than in others. These days, the phrase organic links is most often used to describe links that don’t seem out of place and which meet the expectations of those following them, regardless if they were created spontaneously, or if they were negotiated. Organic Search Results – Search engine’s recommendation of the pages it found to be the most relevant for the entered query. These suggestions are made based on the page’s technical optimization, traffic and engagement metrics, freshness, number of links leading to it, etc. and shouldn’t be confused with the paid ads also displayed on the search engine results pages. Outreach – In the context of SEO and digital marketing, denotes the activity of reaching out to influencers, bloggers, or webmasters with the goal of establishing some kind of mutually beneficial collaboration. PageRank – Part of the of the Google’s algorithm which assigns value to pages based on the number of links they are receiving and the number of their outgoing links. A rough estimate of this value, expressed on a scale from 0 to 10, used to be available through Google Toolbar, but since PageRank is now just a minor part in the overall algorithm, and since a lot of webmasters and SEOs have been focusing on it too much, Toolbar Pagerank is no longer supported since 2016. Paid search results – The paid-for ads displayed at the top of search engine page results. Penalty – Having your site or some of its pages completely removed from the SERPs, either manually or algorithmically. PPC marketing – Pay-per-click marketing allows advertisers to promote their business in the search results pages or on sites involved in the program. Each time their ad is clicked (or shown to a visitor, depending on the setup) the advertisers are charged a fee, based on the popularity of the terms they are focusing on. Query – The string entered into the search box, in other words, the keywords and phrases you want to look up. Rankbrain – A machine learning powered part of the Google’s search algorithm, claimed to be one of the most important ranking factors. Ranking factor – One of more than 200 aspects of a website which are contributing to determining how it is going to be ranked in Google search for particular keywords. Including things like domain age, page loading speed, number of incoming links, keyword distribution, etc. the list of known ranking factors was never fully complete or stable, as they are rarely openly identified by Google, and often get outdated and replaced before they are even recognized. Reciprocal link – A link you got from a domain in exchange for linking to that domain from your website. While sites linking one to another are not necessarily suspicious, and might be just the result of actual partnership, overdoing it with this can land you in hot water with Google. Redirect – Diverting the incoming visitors from one URL to another. There are numerous ways to change the destination a URL is leading to, most popular ones being the 301 and 302 server-side redirects. Relevance – In the context of SEO, usually referring to topical connection between two sites, and the appropriateness of linking from one the other. For instance, a plumbing website could create relevant links on a home improvement site, but it would be out of place on a site about the string theory. Reputation Management – A range of SEO, content marketing and related services focused on tracking the type of exposure a person or a brand is getting online, and trying to minimize the number of negative mentions in the top search results pages. Retargeting – Visitors to your site who accept your cookies can later be identified on other sites offering advertising and presented with your ads. While this is the most common type of this technique, there are also CRM, email and search retargeting. Robots.txt – A text file you can edit to easily modify what authorizations should different bots have when crawling your website, for instance which pages can they crawl or index and which are off limits on both accounts. ROI – Return On Investment, how much you earned from a particular tactic or campaign, compared to how much it cost you to implement it. Scrape – Crawling a website, usually with custom bots, and retrieving relevant information, including, for instance, the site’s inner linking structure, meta elements of individual pages, word count, etc. Search engine (SE) – A program designed to search smaller or larger databases for the requested keywords. In this context, usually referring to internet or web search engines like Google or Bing which rely on crawlers for data gathering and complex algorithms for the assessment of individual pages to be returned as results. Search engine marketing (SEM) – Describes promotional efforts meant to improve your site’s visibility in the SERPs, both when it comes to paid and to organic results. While some consider SEM to be a broader category also including search engine optimization, others only use the term search engine marketing when referring to PPC and other paid search campaigns. Search engine optimization (SEO) – A range of web design, content creation, influencer outreach and social media promotion strategies meant to help make a site rank better for the keywords that they wish to pursue. The goal of SEO is to create a crawler-friendly website which visitors will enjoy and engage with. Search marketing – A term encompassing both SEM and SEO, used by those who think that the term search engine marketing should refer only to paid search advertising, and not also include SEO. Semantic web – A shift from “strings to thing”, semantic web describes the evolution of the World Wide Web in which the increasing amount of used data formats and protocols are conceived so as to allow machines to “understand” as much of the information they encounter as possible. SERP – Search engine results page, listing paid ads and organic search results that were estimated to be the best match for the entered query. Site map – Usually a hierarchically or topically organized list of links to pages of your website that users are meant to have access to, and that you want to make as easy to crawl as possible. Social media marketing – A range of strategies using social media channels to build brand awareness, engage audiences through giveaways or contests, build industry authority, or supplement your other digital marketing efforts. Spamming – Can refer to a range of intrusive advertising techniques which offer no value but rely solely on brute force and quantity. From buying contact and lead lists and inundating the people found there with poorly targeted and composed emails, to squeezing in clumsily anchored links in pointless blog or forum comments, many of these techniques have been completely devalued, but new ones do crop up. SSL – Secure Sockets Layer is a data transfer protocol, safer than HTTP, implemented by getting an SSL certificate. Sites with a valid certificate would display the HTTPS prefix at the beginning of their URLs instead of HTTP. Even though it has been replaced by TLS (Transport Layer Security) as cryptographic protocol of choice, the term SSL is is still often used simply to indicate a secure connection. Static page – Pages the content of which is not dependent on session info or user requests, i.e. which are not created on the go, but saved in their final form, making them easier to index and display to visitors. Top Heavy – Referring to sites which, according to the 2012 Google’s Page Layout Update have too many ads above the fold. Sites that were found to be too Top Heavy dropped in organic search results and even if they promptly responded, sometimes had to wait quite a bit before reclaiming their old positions. URL – Uniform Resource Locator, or a web address is one several types of Uniform Resource Identifiers used to specify different resources, but most commonly, web pages. Usage data – Information retrieved from various analytics utilities, detailing the way visitors interact with your site and its content. Often represented through various engagement metrics, like bounce rate and average time on page. User generated content (UGC) – Content created by site’s visitors, instead of by its owner/webmaster/staff. Includes everything from forum and social media posts to blog comments. Vertical search – A search focusing on a single category of content. The category can be determined by the industry or niche, content format, or anything else. Some examples include Google Image Search, specialized directories like Yelp, etc. Web beacon – User behavior tracking method, often combined with cookies, relying on miniature, transparent images placed on web pages, which help gather information on the visitor’s browser type, IP, etc. White hat / White-hat SEO – A collection of Google-endorsed optimization best practices, meant to improve a site’s visibility in organic search through legitimate tactics instead of through manipulation and spam. The only way to ensure lasting results with SEO.